The Environmental Department also known as the Environmental Protection Office, manages federal grants that pertain to environmental quality and habitat restoration/revegetation projects. 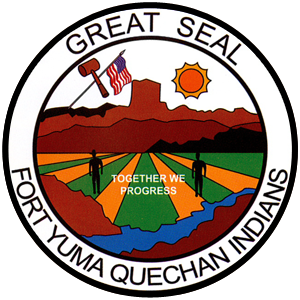 One of the grants currently being managed are the Environmental Protection Agency’s General Assistance Program; which deals with illegal dump clean up, environmental outreach to San Pasqual Schools and Quechan Elders and Picacho Landfill Closure. The Clean Water Act Water Pollution grant consists of testing the Colorado River for contaminants quarterly every year, and Non-Point Source Program is utilized to clear Salt Cedar which is a non native tree which is out competing native vegetation and making the soil more saline or salty which can kill native plants. 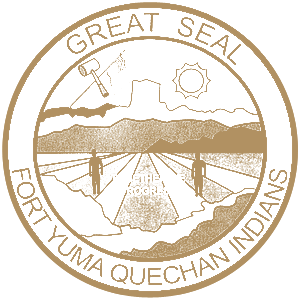 Other grants managed are the Bureau of Indian Affairs Noxious Weed Program also used to clear and eradicate salt cedar and USDA Natural Resource Conservation Service Environmental Quality Incentive Program, which is used to re plant cleared salt cedar areas along the Colorado River with native vegetation like Mesquite, Cottonwood and Willow trees.